No Risk, 100% Satisfaction Guarantee! When we take pictures, we take snapshots of memories so we can refer to them years later. When we have a generation of memories collected, we have to select from a few memories to display in our home. When you have so many great moments captured, how can you just choose a few to display? 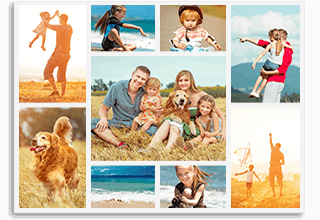 It is difficult, but our collage canvas prints in NZ makes it easy for you to give each and every picture the attention and admiration it deserves. When we say unique, we truly mean it. 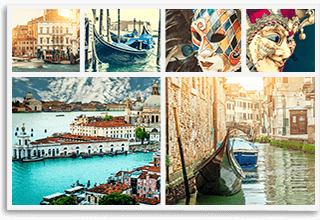 Our collection of canvas photo collage will leave you amazed. In fact, you may want to collect them all! 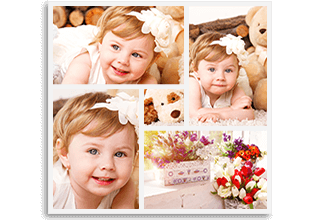 We offer different shapes and sizes, each with a capacity to hold different number of pictures. Our selection of canvas photo collages includes a butterfly, apple, letters, heart, grid block, leafs, and shapes. 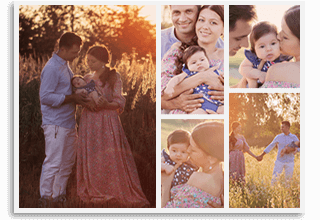 Make Your Own Canvas Photo Collage Today! 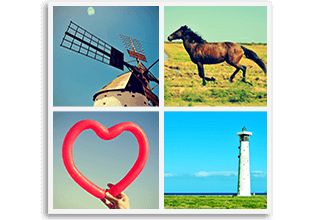 You do not have to choose from one of ours, but you can create your own collage canvas. 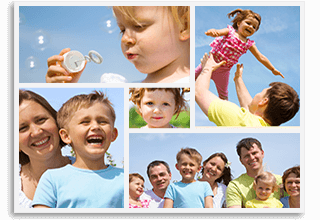 You start by selecting a photo collage size. 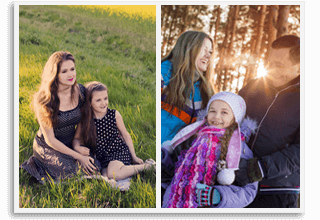 We ask you to upload your pictures and select a template, dimensions, border thickness (think, thick, or none), border colour (white or black), lamination, and effects (black and white). Within a few minutes, your collage will be ready. Once you are satisfied with the results, you can place your order. 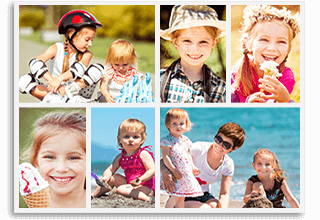 You can order a photo collage, accommodating 20, 40, 130, to 160 pictures—we can handle it all. 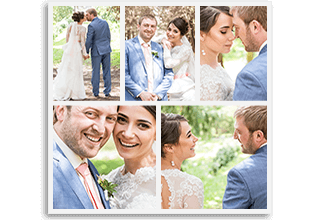 If you are creating your own, you can personalise it with a message, add background colour, select a template, choose dept measurements (1.5 inches to 0.75 inches), and choose a framing option. We only use the finest and premium quality wood to create a variety of frame designs. We recommend you choose a frame, as they will make the colours of your image pop and appear more vibrant. We use high quality raw materials to produce your one-of-a-kind collage canvas prints in New Zealand. 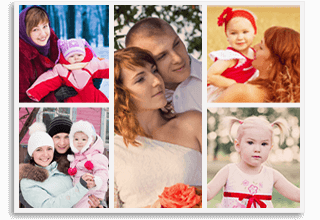 From printing, compilation, to framing, our use of materials and techniques applied to create your canvas photo collage will meet and exceed your expectations every time. To build a high quality product, you can expect us to use only high quality material such as pine wood frame (45mmin depth) and cotton and polyester combination canvas (350 gm). 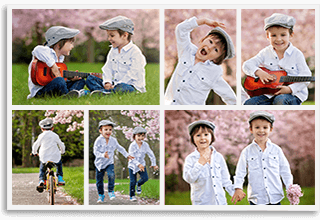 Our canvas photo collage will reach on time and as soon as you receive it, you can hang it. If you want to gift it, you will love our packaging. You can hang it on your wall, in your room, or give it as gift to a loved one. 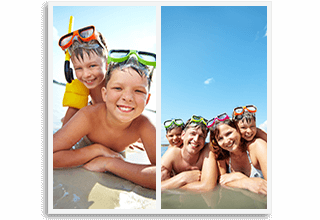 If you want all your memories to be in one place, order a photo collage to print pictures. 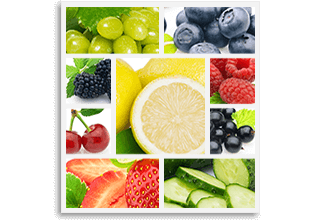 Ask about Photo Collage and get answer in email. 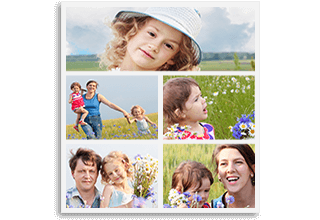 *What do you want to know about Photo Collage?